Let's be honest, if you're like myself you're thinking about breakfast before you even go to bed the night before... & you're definitely thinking about breakfast during your morning workout. 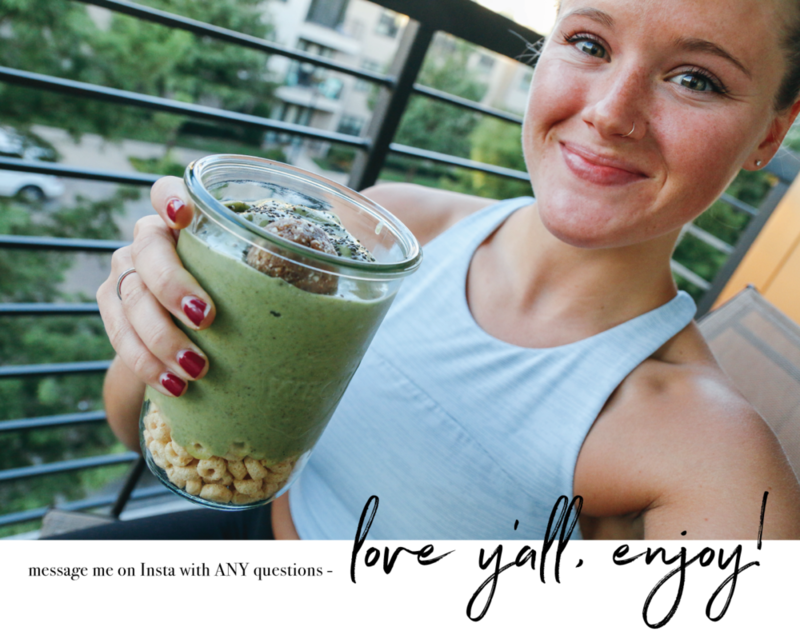 I've been asked a lot lately what I eat after my morning workouts and I'm so excited to share my absolute favorite combo with you all. I have always been a smoothie lover since childhood but I let the classic Blender Bottle with water & chocolate protein stand in my way over the past couple of years. It wasn't until recently (with inspo from Jeannette Ogden aka Shut The Kale Up and my sweet top-notch-smoothie-makin' little sister) that I hopped back on the smoothie train. Most mornings after workouts if I'm not hungry enough for eggs, sautéed mushrooms, and avocado toast - I'LL MAKE THIS. 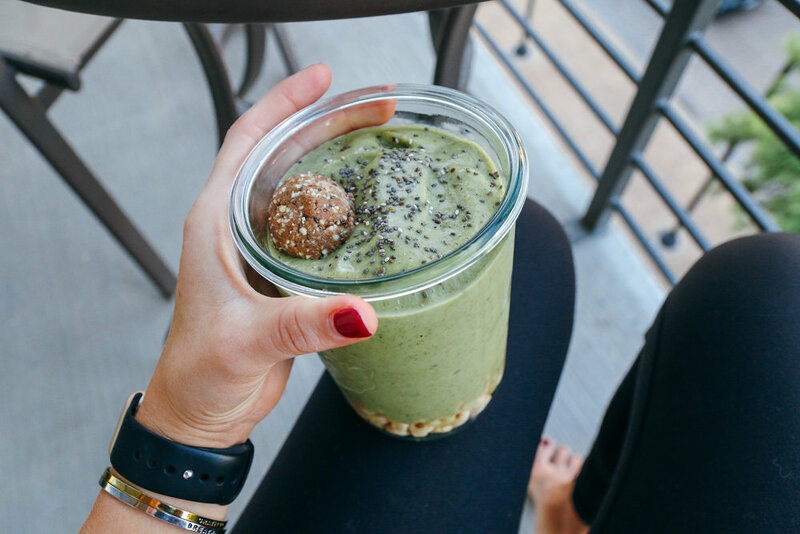 This is what I like to call my Green & Go Smoothie, on top of Honey Power-O's, topped with one of my homemade Cashew Bliss Balls. Place all ingredients in your 24 oz Nutri Ninja cup, frozen fruit/veggies + cashew milk first. Blend until smooth! Good for one week in the fridge!